Raspberry Pi is a small and affordable micro pc|mini computer that you can use to learn programming.It is a new original Raspberry Pi 3 Model B motherboard.Usually we call it Pi 3,raspberry pi 3 b,raspberry pi 3 model b etc. As a micro pc, Raspberry Pi 3 Model B has newly 64-bit quad-core and internal WI-FI and Bluetooth. Built on the latest Broadcom 2837 64 Bit processor, the new generation Raspberry Pi 3 Model B is ten times faster and more powerful than its predecessors. What' s the difference between Raspberry Pi 3 Model B and Raspberry Pi 2? Processor Chipset. 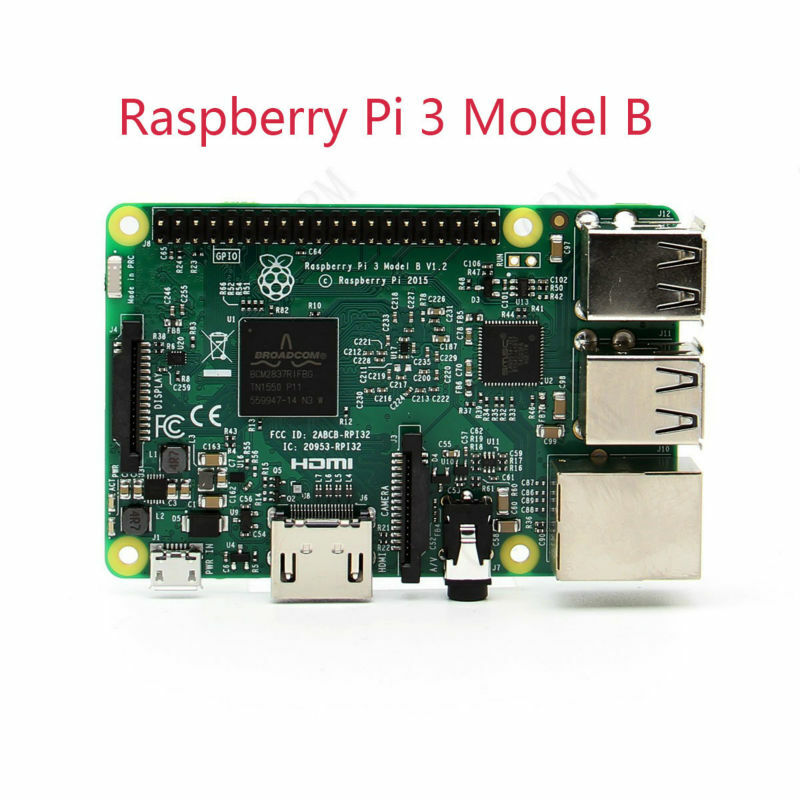 Raspberry Pi 3 Model B is Broadcom BCM2837 64Bit Quad Core Processor powered Single Board Computer while Raspberry Pi 2 is Broadcom BCM2836 32Bit Quad Core Processor powered Single Board Computer . Processor Speed. The CPU on the Raspberry Pi 3B is one and a half times faster than Raspberry Pi 2, which means the board performs better. Max electric current/voltage: 2.5A 5V, which means that power supplies for previous Pi boards will not be sufficient. You need to change another one Official Power Supply. Note: The Raspberry Pi 3 Model B has been updated with a new chipset in 2019.